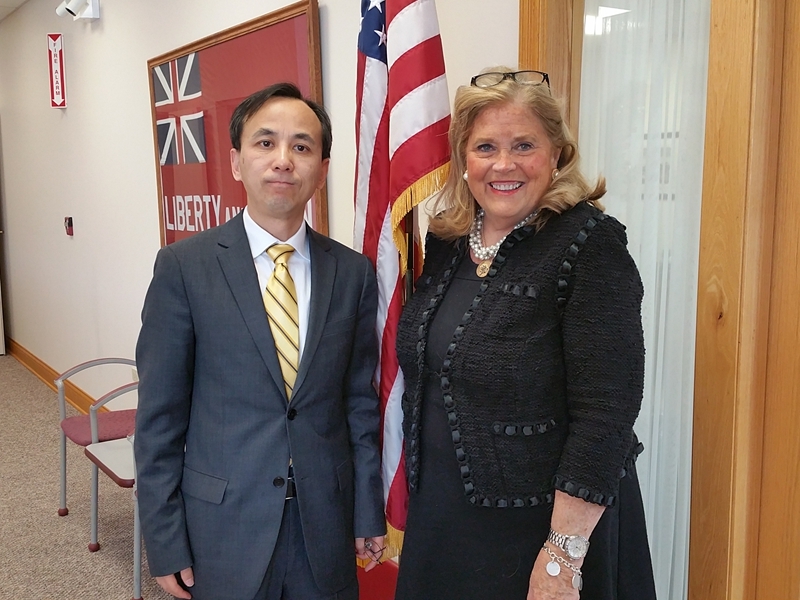 On December 14, Deputy Consul General Liu Jun met with Patti Bellock, Deputy Minority Leader of the State House of Representatives in Westmont, Illinois. Liu said that in recent years, China and Illinois enjoyed sound development of relations and fruitful cooperation in such fields as economy and trade, culture and education. The sister state/province relations between the State of Illinois and China's Liaoning Province and their sister cities are growing well. Legislatures of the US States and the Provinces in China are deepening exchanges and cooepration. The new US Administration will assume office next January and a smooth transition and healthy and stable growth of China-US relations is in the interests of both countires. Liu expressed congratulations to Representative Bellock on her re-election and wishes that she could continue to support Illinois' friendly relations with China and promote China-US sub-national cooperation. Representative Bellock happily recalled her visit to China four years ago and said that she was deeply impressed by what she saw in China. She said that in her district there are many Chinese as well as enterprises doing business with China. As Deputy Minority Leader and a member of the National Conference of State Legislatures (NCSL), she is committed to further strengthening the Illinois’s reltions with China through promoting exchanges and cooperation with the legislative bodies of the Chinese provinces and cities on issues of common interest.